Being food bloggers at times has its downsides. Our minds and appetites become overwhelmed. I am sure friends and family envision us delighting at the newest and trendiest restaurants in LA. The truth? We probably cook homemade meals about five times a week. When Art and I finally decide to go out, we can never agree on a place. Too many options! Seriously. Here’s how it all goes down: Art and I will jump in the car because we’re hungry for dinner and turn to look at each other with blank stares. We ask each other, “Where do you want to eat?” We both shrug. We swiftly pull out our phones and scroll through the various press releases and emails and Facebook timelines trying to find something new and exciting. Sometimes we sit in the driveway for 15 minutes racking our brains to come up with a new spot to try. Or, in frustration, I’ll start the car, pull out of the driveway, and we’ll crawl down the block hoping a restaurant will pop into mind before the main intersection. Nine times out of 10, we go back to a favorite little hole-in-the-wall in the San Gabriel Valley. Or, we’ll jump on the 710 freeway and exit Cesar Chavez Boulevard for one of our favorite little spots – La Azteca Tortilleria. The small restaurant sits next to a Mexican panaderia, and across the street, you can find moles and tamales. Now, depending on the time of day, the lines can get long so customers are encouraged to call ahead. In 2010 Juan Villa purchased the tortilleria who since 1965 made tortillas the old-fashioned way, from scratch and in small batches. Thank God Villa continues the tradition. 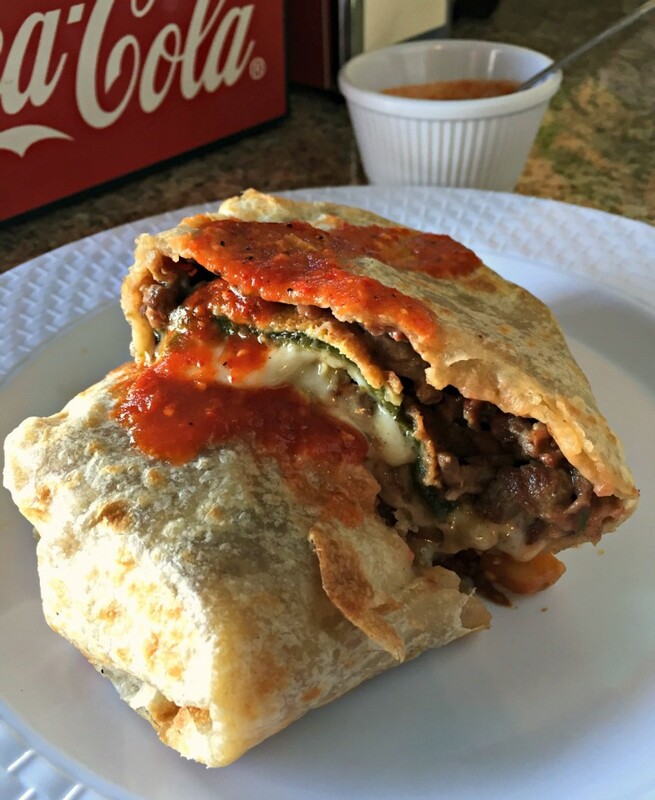 We tend to opt for the extremely popular and filling Chile Relleno Burrito. What makes La Azteca’s chile relleno burrito different is it includes a healthy portion of carne asada. It’s a large burrito that has a green chile battered and fried and stuffed with white creamy cheese. The tortillas at La Azteca are thin and large, similar to the ones you’ll find in Sinaloa or northern Mexico. The burrito has a thin spread of refried beans and unlike those tortillas you buy from the store that crack when you fold, these tortillas hug every curve and keep the goods all inside. Add some of their salsa de chile arbol and it brings it all together. When ordering at the small counter, you’ll sometimes find a tray carrying plastic sandwich bags filled with fried chicharron ends they sell for about a buck. We grab a few bags and add the fatty and salty bites to our tacos or open up the burrito and add a few to give a nice crunch. 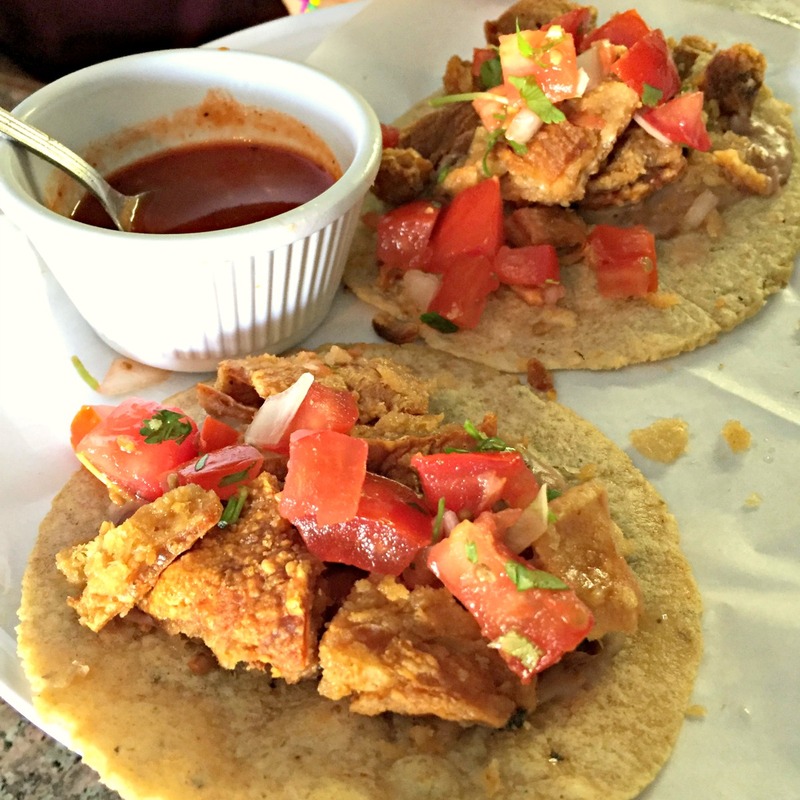 Speaking of fried pork rinds, the taco de chicharron is worth trying. Crispy, and not greasy, and topped with tomato and onion Pico de Gallo Mexicana. While there, be sure to pick up a few dozen flour tortillas to take home. There’s nothing better than eating good quality flour tortillas in the morning with your huevos Mexicana or huevos con chorizo. Breakfast burritos filled with chorizo con huevos, chorizo con papas, or traditional scrambled eggs and ham. Burritos and tacos with about every filling possible: carne asada, carnitas, nopalitos, chicharron and chicken.